HELEN ANN LICHT is a graduate of Stanford. Her works have been shown in galleries and museums throughout the Bay Area, the United States and Mexico City. When she had her first show at the Lucien Labaudt Gallery she decided she should learn to draw. That led to her second B.A. with honors in Studio Art and Art History from the University of California in Berkeley. 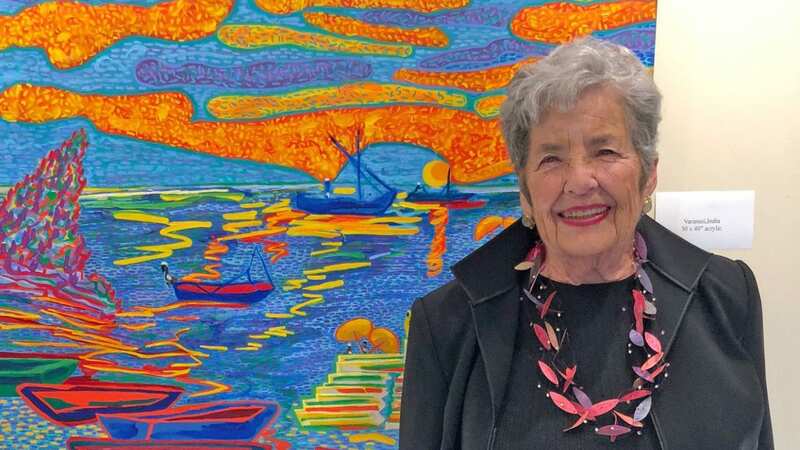 She studied with some of the most important California painters, including Joan Brown, Karl Kasten, Elmer Bischoff, Jay DeFeo and Lundy Sigriest. She produced a series of colorful paintings after trips to Israel, Europe, Mexico, India, Argentina and the Bible. She has shown herwork in galleries and universities in the United States and Mexico City.Her Jewish paintings have been shown in the Klutznik Museum, Washington, D.C., Creighton University Art Gallery, Omaha, Nebraska, the Bade Museum and Judah Magnus Museums, Berkeley, the Jewish Museum, the Jewish Library and the Museum of Temple Emanu-el, San Francisco and numerous Jewish Centers. Helen Ann’s oil painting, “Jacob and the Angel” has been featured on Visual Midrash in Isreal! To view click here to see her listing.